Sit comfortably in the hotel lounge, have a drink and let yourself go in a relaxing and classy atmosphere. Our bar will be pleased to serve you one of his many drinks or cocktails from all over the world. 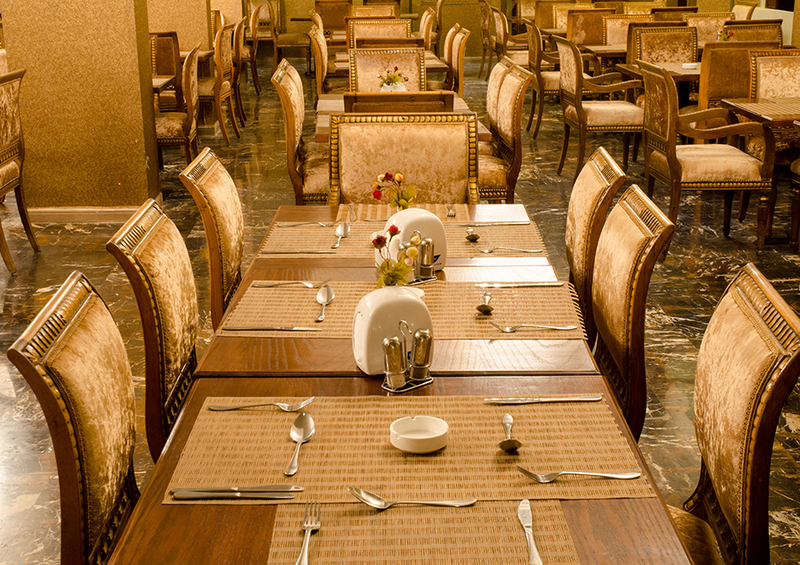 Our restaurant welcomes you with great pleasure to serve you the best meals. You can choose between our oriental cuisine with the famous Maza and other specialties or the occidental cuisine and its various Western dishes chef's Favorites! Our main restaurant offers you a variety of International Food and Wine. Dine at the main Restaurant and enjoy our various cuisines, with a warm and welcoming service, even for more relaxing enjoy your meals in our outdoor terrace.